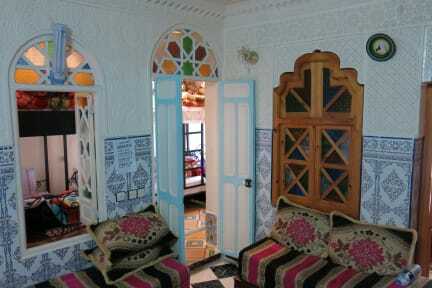 I and my friend stayed here for two days: the location is perfect, near Subbanine square inside the old Medina. Furthermore, the hostel's rooms have plenty of space. Great location and set up. The staff are friendly and available. We had a lovely time however, some of the toilets do not lock and toilet paper often ran out without being replaced. Would still recommend. Yassin the best owner, good vibes and good place. Yassin Is wonderful person! Thanks for your time! Good atmosphere, full of stoners. Situato nel centro del paese offre un alloggio abbastanza pulito e soprattutto una famtastica terrazza dove si ha un ottimo panorama. We really enjoyed our stay in Aline Hostel, mainly due to.the people we met there (including Daniel, who is volunteering there and helped us with everything) and to the beauty of the city. The hostel has a very chilled and friendly vibe. For the rest, we unfortunately have to mention the bedbugs issue that was harassing most of the guests in the hostel, including us. 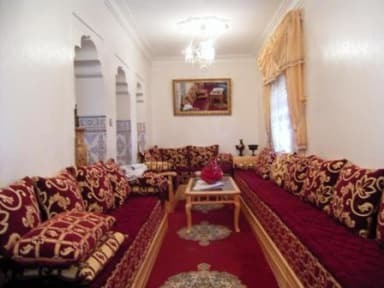 The Moroccan owner was not really helpful with this and insisted in charging us for laundry even if we experienced bedbugs bites.